1…to take allergic rhinitis seriously. 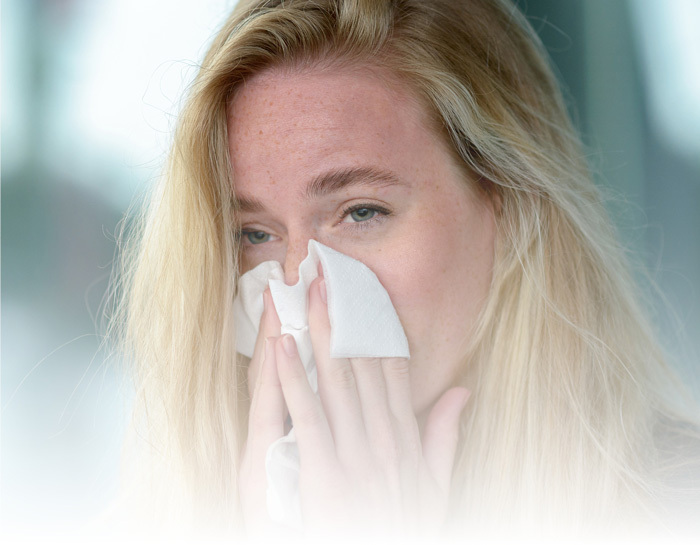 This online resource is designed to help healthcare professionals manage their patients with seasonal or perennial allergic rhinitis, who may benefit from Dymista® after monotherapy treatment has failed to control their symptoms. Symptoms, severity, impact to patients, and the need for effective treatment. Current guidelines on allergic rhinitis and where Dymista® features in the treatment algorithm. Scadding GK, et al. BSACI guideline for the diagnosis and management of allergic and non-allergic rhinitis (Revised Edition 2017; First edition 2007). Clin Exp Allergy 2017; 47(7): 856-889. Scottish Medicine Consortium (SMC). 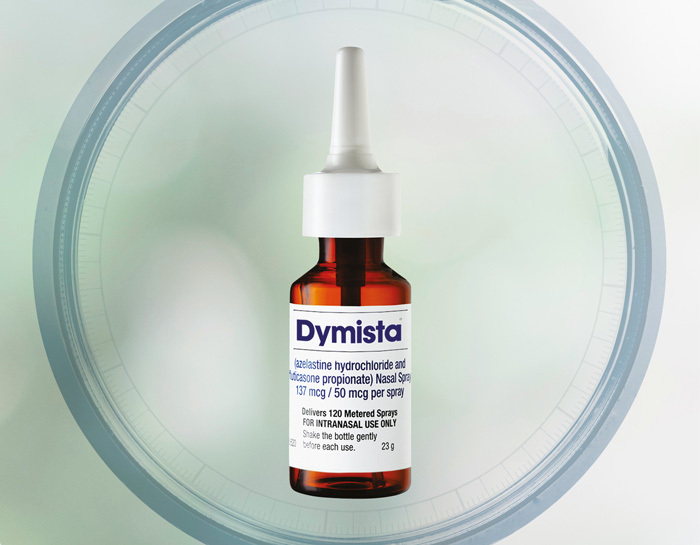 Available at: https://www.scottishmedicines.org.uk/medicines-advice/azelastine-hydrochloride-plus-fluticasone-propionate-dymista-abbreviatedsubmission-92113/. Last accessed: November 2018. Derendorf H, et al. Bioavailability and disposition of azelastine and fluticasone propionate when delivered by MP29-02, a novel aqueous nasal spray. Br J Clin Pharmacol. 2012; 74(1): 125-133. Bousquet J, et al. Onset of Action of the Fixed Combination Intranasal Azelastine-Fluticasone Propionate in an Allergen Exposure Chamber. J Allergy Clin Immunol Pract. 2018; 6(5): 1726-1732. Price D, et al. MP29-02 a novel intranasal therapy for the treatment of chronic rhinitis: safety data from a 12 month-trial. Presented at EEAACI, Geneva, 16-20 June 2013. 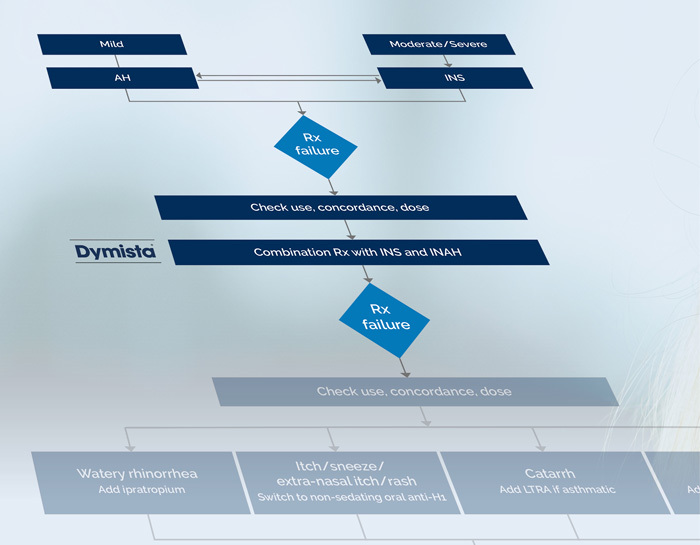 Dymista® Summary of Product Characteristics. Available at: https://www.medicines.org.uk/emc/product/9450. Last accessed: November 2018. Brożek JL, et al. Allergic Rhinitis and its Impact on Asthma (ARIA) guidelines-2016 revision. J Allergy Clin Immunol. 2017; 140(4): 950-958. Lipworth B, et al. An algorithm recommendation for the pharmacological management of allergic rhinitis in the UK: a consensus statement from an expert panel. NPJ Prim Care Respir Med. 2017; 27(1): 3. Meltzer E, et al. Clinically relevant effect of a new intranasal therapy (MP29-02) in allergic rhinitis assessed by responder analysis. Int Arch Allergy Immunol. 2013; 161(4): 369-377. Hampel FC, et al. Double-blind, placebo-controlled study of azelastine and fluticasone in a single nasal spray delivery device. Ann Allergy Asthma Immunol. 2010; 105(2): 168-173. The website you are trying to access is designed for healthcare professionals in the UK, the content is not designed for the general public. Adverse events should be reported. Reporting forms and information can be found at www.mhra.gov.uk/yellowcard. Adverse events should also be reported to Mylan by phone: 0800 121 8267 or by email: ukpharmacovigilance@mylan.com. This website is owned and managed by Mylan. 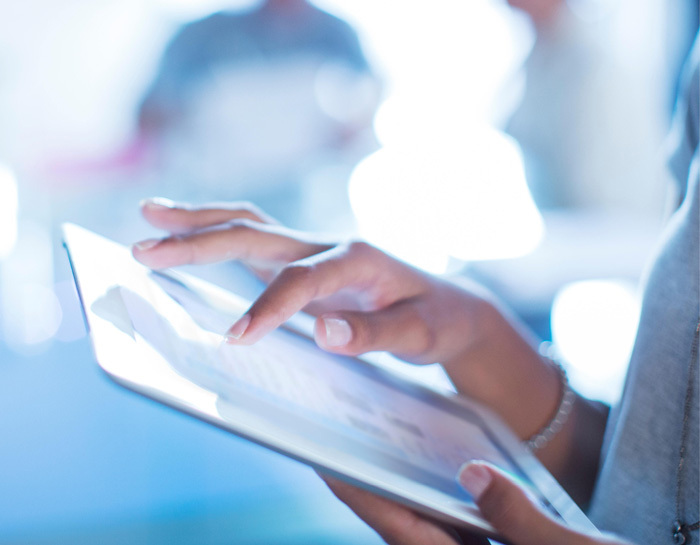 This site has been developed for use by healthcare professionals only. DYM-2018-0385 Date of preparation: March 2019. Copyright © 2019 Mylan N.V. All rights reserved. Dymista® is a registered trademark of Mylan N.V.